Vaccinations provide protection from infectious diseases your cat may be exposed to. Vaccinations and preventive care for your cat is a medical decision and a medical procedure that should be individualized based on the risk and lifestyle of the individual animal. We want to help you make the right decision for your pet. We follow the vaccination guidelines developed by the American Association of Feline Practitioners (www.aafponline.org). Vaccinations are classified as core or non-core. Core vaccines are those that all cats should receive. Non-core vaccines are optional and should be administered selectively, based on the animal's geographic and lifestyle exposure and assessment of risk/benefit ratios. Rabies - given as early as 9 weeks of age, then revaccinate yearly. Rabies is a severe viral disease affecting the nervous system of almost all mammals, including man. It is commonly spread by contact with infected saliva through a bite wound. There is no cure once symptoms occur. FVRCP - initial kitten (<12 weeks of age) intranasal vaccination is given as early as 9 weeks, then again in 3-4 weeks. Initial adult (>12 weeks) vaccination is one dose. Revaccinate yearly. Feline (F) viral (V) Rhinotracheitis (R) and Calicivirus (C) are respiratory viruses. Cats of all ages are susceptible with kittens being the most severely affected. Clinical signs include fever, discharge from eyes and nose, sneezing, and salivation if ulcers in the mouth are present. The disease is highly contagious. Treatment is limited to supportive and symptomatic therapy. Panleukopenia (P), also known as feline distemper, is a highly contagious viral disease that primarily affects young cats but any age cat is susceptible. The mortality rate can be very high, although there are many infected cats that show no visible signs of the disease. Clinical sign include fever, loss of appetite, vomiting, depression, diarrhea, dehydration and can lead to death. Panleukopenia can be very difficult to treat. Feline Leukemia - recommended for all kittens because they are the most vulnerable to infection and may have exposure if goes outdoors. Test the kitten for feline leukemia (FeLV) and feline immunodeficiency virus (FIV) to detect if it is a carrier of the viruses. If the cat is negative, FeLV vaccination is given as early as 9 weeks, then again in 3-4 weeks. Revaccinate in one year. If the cat will continue to be at risk for FeLV (goes outdoors or exposed to cats that go outdoors or are FeLV positive), continue testing and vaccinating yearly. Feline leukemia is a virus that causes suppression of the cat's immune system which decreases its natural resistance to disease. Transmission is through transfer of virus in the saliva or nasal secretions resulting from prolonged intimate contact (ie. mutual grooming), biting, or sharing of food and water utensils. The virus may also be transmitted by transfusion of blood from an infected cat, through the uterus to the unborn kitten, or through the milk of the mother cat. Clinical signs of FeLV infection are primarily related to cancer, anemia, and diseases resulting from suppression if the immune system. Feline Leukemia - all cats should be tested for FeLV infection before initial vaccination and yearly when there is a possibility that they have been exposed to FeLV since they were vaccinated because FeLV vaccine is not 100% effective. Series of 2 vaccinations, then once yearly if they are at risk. The vaccine is recommended if the cat: 1) goes outdoors, 2) lives with a FeLV infected cat, 3) lives with cats whose FeLV status is unknown, 4) has contact with other cats of unknown health status, 5) lives with cats that roam outside freely, 6) has an owner who may bring home stray cats, 7) fights with other cats, or 8) lives with cats who fight with other cats. The vaccine is not recommended if all the household cats: 1) are strictly indoors, 2) not exposed to cats who go outdoors, 3) are FeLV negative. Chlamydia - given as 2 doses 4 weeks apart as early as 8 weeks of age. The vaccine is recommended if the cat attends cat shows, goes to a boarding or grooming facility or lives in a multicat household where Bordetella infections have been documented. -The current vaccine will result in a positive FIV screening test resulting in confusion as whether a stray cat is a vaccinated cat or a truly positive FIV cat. Therefore, it is not currently recommended until better screening tests or a different FIV vaccine is available. -Transmission of the virus occurs most commonly from breeding and fighting. The virus is not spread through casual contact between housemates not engaging in breeding and fighting, nor is it spread through casual encounters between non-breeding and non-fighting cats outside. -If a cat is tested positive for FIV, the test should be repeated with a different test to confirm the infection. If a kitten should test positive, the test should be repeated after the kitten is 6 months of age. -If the cat is FIV positive, it should be kept indoors to decrease exposure to other cats and decrease exposure to other infections. · Whenever cats are sick, regardless of age, negative results of previous tests, and FeLV vaccination status. · When they are about to be adopted, regardless of age. Cats should be tested before being introduced into a multiple-cat household to prevent exposing other cats in the household. If there are no other cats, FeLV/FIV status of the new cat should be known if the owner should adopt another cat or should the cat escape outdoors and expose other cats. 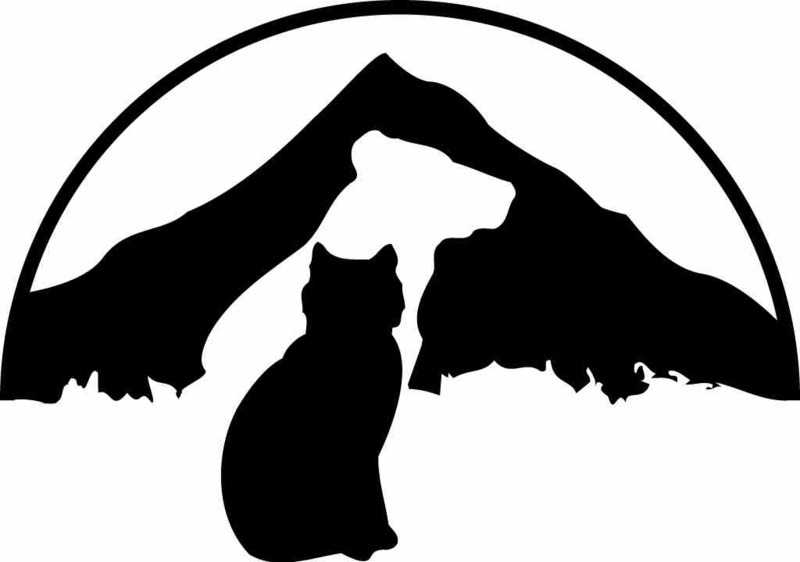 · If the cat had possible exposure to FeLV/FIV recently (e.g. bite wound) and the test is negative, it should be retested in 60 days because the virus may not be present in the blood stream early in the infection. · If the FeLV/FIV status is unknown. Infected cats may show no signs of disease and may infect other cats. · When they are exposed, or potentially exposed, to cats of unknown FeLV/FIV status (e.g. cats that go outdoors unsupervised) regardless of whether they have been vaccinated against FeLV. · When they are about to be vaccinated for FeLV. FeLV vaccines should not be given to positive cats.